I’m old enough to remember the days when you had to wait in line to pay US$2 per minute to make international phone calls from this part of the world. In those days, some of the people lucky enough to have landlines guarded them so preciously that they put locks on the rotary dial to keep people from running up astronomical bills. Maneuvering my way through the modern era of smartphones, 3G data networks, and instant messaging is like stepping into an episode of Star Trek. Mind you, I’m not complaining. Being able to stay in touch with friends and family back in the States for next to free is a pleasant change from the past. And being able to do so while sitting on a bench on the Cinta Costera in Panama City is something I never would have even dreamed of 20 years ago. While cellular service can be somewhat spotty out in the sticks where I live, the data networks in Panama City are about the same as one would find in any large city in the States. All three major carriers—Claro, Cable & Wireless, and Movistar—now even offer LTE service in the capital for about US$15 per month for up to a gigabyte of data. There’s a fair amount of debate about which carrier’s network is best, but, by and large, any of them will give you enough bandwidth to power any of the apps you need to get around. 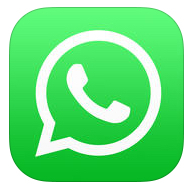 WhatsApp: WhatsApp is all but essential for anyone living in Panama. It’s become so ubiquitous that it appears in advertising campaigns, shows up on business cards, and has become as much a part of the language here as Google has in the United States. “Mandeme un WhatsApp” is the Panamanian equivalent of give me a call. The simple messaging app allows people with data plans to send text messages and media files like photographs or videos to others on the network without incurring charges from the mobile carrier. You can even make actual voice calls on it. The app is free for the first year, then charges 99 cents a year after that. 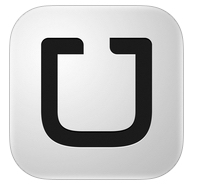 Uber: The famous (or infamous depending on your point of view) car-sharing service operates in only two Central American countries, Panama and Costa Rica. And thank goodness. Conducting business with taxi drivers in Latin America was always the bane of my existence before Uber and its ilk came along. As a blatantly obvious gringo, I always knew I was getting hosed by local taxistas. Why was I always charged three or four times what the locals pay just because I am a foreigner? It drove me bananas. Uber has solved the problem for me. Sure, I may be paying 10% or so more than what a local would for a yellow taxi. But, for that extra 10% I don’t have to know the correct fare ahead of time or argue with the driver, and I am guaranteed a clean, late-model car with air conditioning, and, more often than not, free bottled water. Plus, I don’t have to have the exact fare in small bills or face the old I-don’t-have-change ruse from the driver. Rates are predetermined based on time and distance, and the fare is charged automatically to a credit card on file with Uber. There are good reasons that services like Uber have been so disruptive to certain entrenched sectors of the economy. I’ve heard rumblings about the government forcing yellow taxis to install meters in response to Uber, but will believe it when I see it. TuChofer, another free car-sharing app, is the local alternative to Uber if you want to avoid supporting Big Tech. Waze: If you plan on driving in Panama, Waze is by far the best bet for turn-by-turn navigation. It’s essentially a GPS navigator built into your phone. Click once to determine your location, type in a destination address and, voila, clear and precise (voice-guided) directions will pop up on your phone. 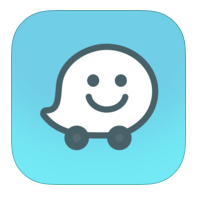 Waze crowdsources traffic and road conditions from other users and is used by virtually everyone in the country with a smartphone, so it’s fairly reliable. Perhaps the most useful part of it for people driving on the highways is that police speedtraps (all-too common, especially on weekends on the Panamerican highway through the City Beaches area west of Panama City) are well marked. Degusta: Eating out, in Panama City at least, is increasingly a rather daunting task. There are so many new restaurants coming and going in hotspots like Casco Viejo and the Amador Causeway that it’s often hard to keep up. 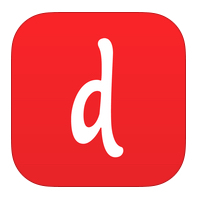 Degusta relies on user ratings and can provide restaurant recommendations based on your location, price, popularity, or cuisine. It even offers discounts at some places if you book a table through the app. It’s listings in the interior of the country aren’t as extensive as they are in the capital, but the app has the latter covered substantially. 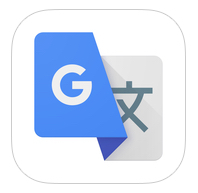 Google Translate: For those folks who are still working on perfecting their Spanish (or any other language for that matter), this app will be a godsend. Simply say something in English into the phone (or type it), it will be instantly translated to Spanish on the screen, and you can sheepishly hold up your phone to the store attendant or DMV gargoyle and hope they can read. While not entirely foolproof, the technique more often than not gets the job done. The app can also translate written Spanish on menus or documents into English by simply pointing your camera’s phone at the text. And, it’s free. There are probably others worth knowing about that I have yet to discover. If anyone has any suggestions for apps worth having on their phone, stop by our Facebook page and leave some suggestions in the comments section. P.S. We’ve almost sold out our inaugural Access Panama Property Tour taking place Jan. 29–Feb. 1. So, if you’ve been on the fence until now don’t wait much longer. Airfares from most U.S. gateway cities are still pretty reasonable (less than US$500 nonstop from Newark, for example), and the weather promises to be spectacular as always. Come see for yourself why Travel and Leisure, among many others, is saying Panama is the place to be in 2016.